Born on September 25, 1911, Eric Williams was the son of Elisa and Henry Williams, a minor Post Office official in Trinidad. He was educated at Queen's Royal College and won the Island Scholarship to Oxford University. At Oxford, he placed first in the First Class of the History Honours School and received his Doctor of Philosophy degree in 1938. 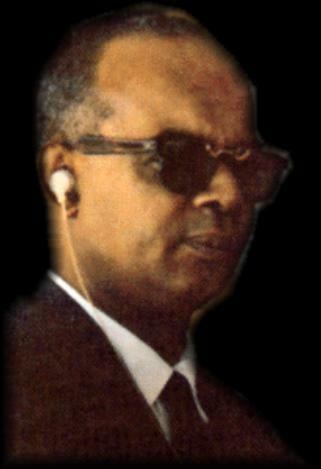 Williams formed the People's National Movement (PNM), a political party of which he became the leader. In September of 1956, the PNM won the national elections and he became the chief minister of the country from 1956 to 1959, premier from 1959 to 1962, and prime minister from 1962 to 1981. Maurice was born on May 29th, 1944 on the island of Aruba to Grenadian parents, Rupert and Alimenta Bishop, who returned to Grenada in 1950. In 1976, Maurice was elected to the House of Representatives and became leader of the Opposition, a post he held until March 13th 1979, when he led an armed, almost bloodless revolution and seized power from Gairy's government which was riddled with corruption, religious mysticism, and repression. The overthrow was staged at 4:00 am, by 6:00 am the population knew about it and by then it was over. Eric Gairy did not respond with any resistance and instead was on a flight to New York . During his time as leader of the revolution, his People's Revolutionary Government (PRG) made great achievements in the fields of Education, Medical services, workers rights, women's rights, co-operatives, Political awareness, land development, infrastructure and started the International Airport (which one day should (will) be named in his honor). Because of his pro-Castro, militant Third World and anti-imperialists views, Bishop was under close scrutiny by the U.S. and the Reagan Administration expressed concern at the friendliness of the Grenadians towards the Cubans. Bishop was quick to react to the U.S.: "No country has the right to tell us what to do or how to run our country or who to be friendly with. No one, no matter how mighty and powerful they are, will be permitted to dictate to the government and people of Grenada............ We are not in any body's backyard and we are definitely not for sale." A crisis was brewing in the revolutionary movement, and Bishop lost control of his party to the far left . He was stripped of power and placed under house arrest. A few ministers who were on his side rallied the people and helped to free him. However his return to power by the masses was short-lived and one week afterwards, while protesting the new government in a mass rally, the army was called in by Bishops' main rival for power Bernard Coard. Bishop was executed on October 19th 1983, along with Norris Bain, Fitzroy Bain, Jacqueline Creft, Unison Whiteman, Vincent Noel and countless other Grenadians. This set the stage for a U.S Invasion of Grenada on October 25th, 1983. Maurice Bishop will remain one of Grenada's Fallen National Heroes. In his words "FORWARD EVER BACKWARD NEVER." 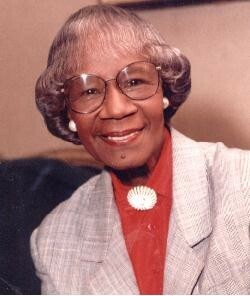 Shirley Anita St. Hill Chisholm was born on November 30, 1924, the oldest of four girls, to Charles and Ruby St. Hill. Her father was from Guyana (then British Guiana) and her mother from Barbados. They sent Shirley and her sisters to live with their grandmother in Barbados when they were very young. She received an excellent education in Barbados’ school system which she later credited with providing her with a strong academic background. She returned to live with her parents at age 10 and continued to excel in her studies. At Brooklyn College, she majored in sociology and joined the debating society, an experience that would influence her cut-and-thrust oratory style. She also served as a volunteer in the Brooklyn chapter of the National Urban League and in the National Association for the Advancement of Colored People (NAACP), where she debated minority rights. She was elected to the New York State Assembly in 1964 and in 1968 she won a seat to the House of Representatives and became the first African American woman elected to Congress. In 1972 Chisholm also ran a campaign to be president of the United States and said she was, “a candidate for the people.” She didn’t get her party’s nomination, but she is still famous for being the first black woman to seek the nation’s highest office. Jesse Jackson’s campaigns for the presidency. Constance Baker was born on September 14, 1921, in New Haven, Connecticut, the daughter of West Indian immigrants from Nevis, Rachel Baker and Willoughby Baker. She was the ninth of 12 children. Her parents could not afford to send her or her 11 brothers and sisters to college, so Constance took a job as a domestic following her graduation from high school. She then accepted a job with the New Haven branch of the National Youth Administration. Her intelligence and oration so impressed Clarence Blakeslee, a wealthy white contractor and philanthropist, that he paid for her college education. She enrolled at Fisk University and transferred to New York University, where she earned a BA in economics in 1943. She went on to Columbia Law School, where she met . Thurgood Marshall, who hired her as a law clerk at the New York branch of the NAACP Legal Defense and Educational Fund. She remained with the fund after graduating in 1946. Motley's list of achievements displays impressive firsts. From 1964 to 1965, she served a full term in the New York State Senate as the first African-American female senator. In 1965, she became the first African-American woman elected to the office of Manhattan borough president, and in 1966, she became the first African-American woman appointed to the federal bench (New York). Motley was made chief judge of the U.S. District Court for the Southern District of New York in 1982—the largest federal trial court in the United States. She was appointed senior judge, in 1986..
the first black officer to hold the nation's highest military post. 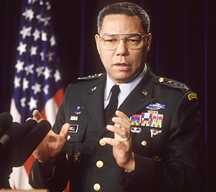 Powell played a pivotal role in planning and executing the invasion of Panama in 1989 and the Persian Gulf War (1991). He retired from the military in September 1993. In 1995 Powell published his autobiography, My American Journey, and went on a national book tour to promote the book. During the book tour, there was speculation that Powell would run for president in the 1996 election. However, in November 1995 Powell announced that he would not pursue any political office in 1996. In December 2000 President-elect George W. Bush appointed Powell the first black secretary of state where he continues to serve.